JCB Teletruc TLT30D used forklift truck from 2007 for sale. 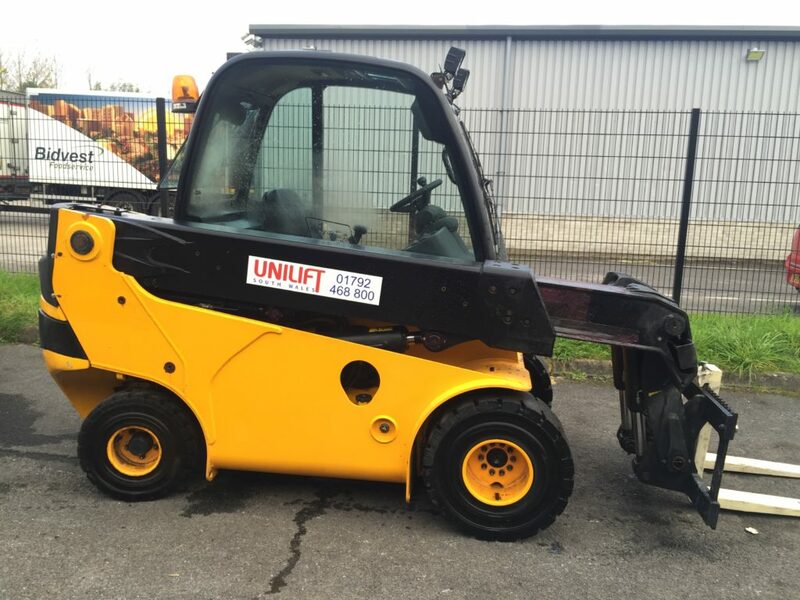 This used forklift truck is in excellent condition and has done 5793 hours of service. Fully serviced and checked and this used forklift truck also comes with a Through Examination Certificate. The Teletruk can often do the work of five machines on site – a Conventional Masted Forklift Truck, Skid Steer Loader, Compact Telescopic Handler, Rough Terrain Forklift and a Compact Wheeled Loader. This could reduce your fleet holding operational running costs.